How Far is Venkat Residency? 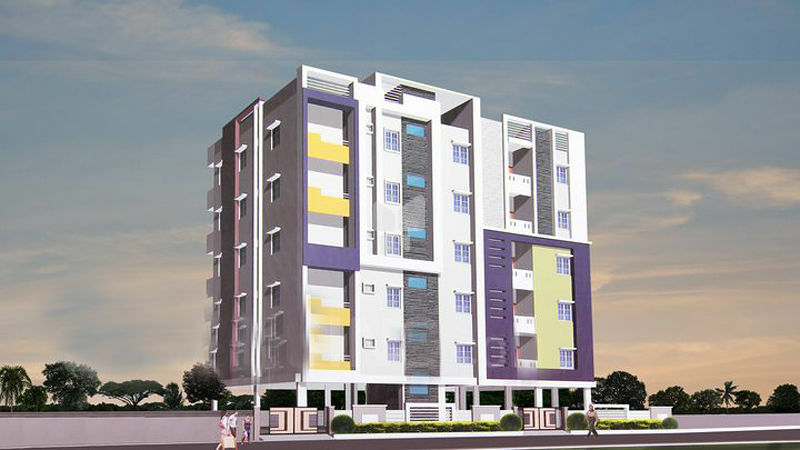 Venkat Residency is one of the residential property located in HSR Layout, Bangalore. The housing is comprised of 2BHK apartment. The property offers easy access to nearby schools, hospitals and public parks. It is equipped with all the necessary amenities in order to offer a comfortable stay. Venkat Estates Private Limited is a Bangalore (India) based company with an un-compromising commitment of creating "Assets for Generations"
Venkat Estates always placing the highest emphasis on location and attention to details in both design and build quality, with a passion and vision to enrich lives and communities. The company focuses on Environmental & Ecological features by incorporating Rain Water Harvesting Systems, Sewerage Treatment Plants, natural & cross ventilation in homes, low energy electrical fittings, sustainable & energy-efficient building materials. The company has a vision to become one of the India's leading home builders and to be recognized for its inspirational design, outstanding workmanship and responsible building practices. Progressive architecture, strategic planning and premium locations have undoubtedly played their parts in our success, but there really is more to Venkat Estates. Our ethos to build beautiful homes for life is underpinned by a powerful commitment to our team of professionals who make it all happen, the regional landscape we strive to enhance and the environment that we all work so hard to protect. This social responsibility begins with a philosophy to use building materials from sustainable sources wherever possible, to transform our brownfield sites sensitively and to ensure every Venkat Estates home is designed to perform as a highly energy-efficient home that keeps utility bills and carbon emissions low. Our social responsibility also extends to the communities we serve. Our programme of development and investment in affordable housing projects with forward-thinking partners is helping local residents make life-changing moves into new, stylish homes. But above all, the Venkat Estates name has become synonymous with luxury housebuilding. Today, we continue to build individually designed houses and apartments that have their own unique character and a specification and finish that's now recognised as the distinctive Venkat Estates. The company offers its skills and state of the art technology right from the conception to completion of a project as a one-stop solution provider. The company is committed to the guiding principles of quality, timely delivery, fair price and integrity. All the projects planned by the Venkat Estates is surrounded by lush green landscape and ensure peace and more exciting is that the basic needs of life like Healthcare, Schools, Colleges, etc are all within the vicinity of our projects.